A VNG test stands for Videonystagmography and an ENG test stands for Electronystagmography. Both of these test the vestibular system (balance system) of the inner ear to determine if your dizziness/loss of balance is caused by an inner ear abnormality. When undergoing the VNG test, you are wearing a pair of goggles over your eyes used to monitor and record eye movement. During the ENG test, instead if wearing goggles, you have sticker electrodes placed around your eyes and forehead to record eye movements. The type of test you have will depend on the type of equipment and protocol of the clinic where your testing is taking place. One way is not better than the other, they just utilize different ways of recording information. While testing may vary slightly from clinic to clinic, there are 4 main parts to a VNG/ENG test. During the testing you will be asked to walk or stand in various conditions. With eyes open and closed and on different surfaces. This is used to determine how well your sensory systems are working together to maintain balance. It is unlikely that you will feel dizzy during this part of the test but you may lose your balance. Read more about this type of testing here. During this portion of the testing you will be asked to follow a light with your eyes. The light will be moving across a bar in front of your, or inside the goggles. The light will be moving quickly in different directions. This part of the test may make you slightly dizzy. With assistance from your test proctor, you will be asked to move your head and body in a series of positions. This includes head movements up and down, side to side, and body movements sitting up, laying down, and turning on your side. You will be instructed on whether to open or close your eyes during the movements, while your eyes are being recorded. During this part of the test, you may experience dizziness and/or vertigo. This is more likely to occur if your initial symptoms of dizziness are triggered by movement. This portion of the testing is usually done at the end. You will be laying on your back while cool and warm air or water is delivered to your ear canal, one at a time, warm in each ear followed by cool in each ear. This is a very important part of the testing that will stimulate each vestibular system, right ear and left ear, and compare the response between the ears. It helps to determine whether the vestibular organs are functioning properly and whether one system is significantly weaker than the other. The air or water will stay in your ear for about 1 minute each time. Once it is removed, your eye movements will be recorded for an additional minute. It is important to follow the instruction of the test proctor during this time as to whether your eyes should remain opened or closed in order to avoid the need for repeat testing. During this portion of the test, it is likely that you will experience dizziness and vertigo. This will only remain for a few minutes following each ear stimulation. It is normal to be dizzy during caloric testing. Below is a video example of what you will experience during a VNG test with your Audiologist. Prior to testing, you may be given a list of restrictions to follow. Certain medications, such as Vestibular Suppressants, Antihistamines/Decongestants, and Diuretics, must be avoided for 48 hours prior to testing. Other medications such as pain medications, Sedatives, Antidepressants, Tranquilizers, and other recreational drugs must be avoided prior to testing if possible. You may also be asked to limit yourself to a light meal immediately prior to testing, avoid caffeine and alcohol, and not wear contact lenses or mascara during testing. These restrictions will help to ensure accurate and comprehensive test results so proper diagnosis can be made. Results of the VNG/ENG test will help to determine if the dizziness is caused by an inner ear abnormality. If the test results clearly indicate an inner ear issue, diagnosis can be made and treatment options recommended. If results indicate normal or inconclusive results, alternative tests may be recommended to determine the cause of the dizziness. It depends on what is causing the ear pain. If you have an ear infection the test may be affected by the infection (specifically the caloric section). If the pain is caused by something else (like TMJ or allergies for example) then there should be no effect on the VNG test. I would recommend calling the office where you have your VNG scheduled prior to the testing and let them know you are experiencing the ear pain. had a vng done say i have a left side weakness and it’s a perifeal finding. what’s all mean? A peripheral finding means that it is a dysfunction of the vestibular system (balance system) of the inner ear. In your case, it’s your left ear where the dysfunction is occurring. This can be caused by many different things and will be treated depending on the cause. In some cases no treatment is necessary, as your brain will quickly compensate for the weakness on the left side. Face makeup like concealer should be fine but you cannot wear any eye makeup, including mascara. this is very frustrating as my vestibular balance is off a year late after cataract surgery , when all hell broke loose . I never had these issues before cataract surgery, and just had all the testing VNG etc. I’m sure that is extremely frustrating Sima. I haven’t heard of cataract surgery causing these types of issues, but your VNG test should help to determine whether this is an ear-related problem or not. I hope you find a solution quickly! That is very interesting as I have also had balance problems after cataract surgery. I am scheduled to have VNG testing also. The consensus is that there is no relationship between the vision system and the inner ear system yet my ENT didn’t appear surprised that I made that connection. We’ll see….good luck! Could be b/c the surgeon most-likely dropped FLUOROQUINOLONE EYEDROPS into your eyes pre and post-op cataract surgery. Check your medical records, all Fluoroquinolones are toxic and cause many issues besides vertigo … much more serious, as well (I know) … and vertigo is bad enough!! Hi Sherry. I can understand your concerns. You will likely get dizzy during the testing itself but it usually subsides very quickly. It is important to have the testing done to get to the root of what is causing your dizziness so it can be treated appropriately. I had a VNG test about 3 years ago, I had vertigo, lost of hearing and ringing in my left ear. Vestibular therapy was recommended, I digit for 5 months. 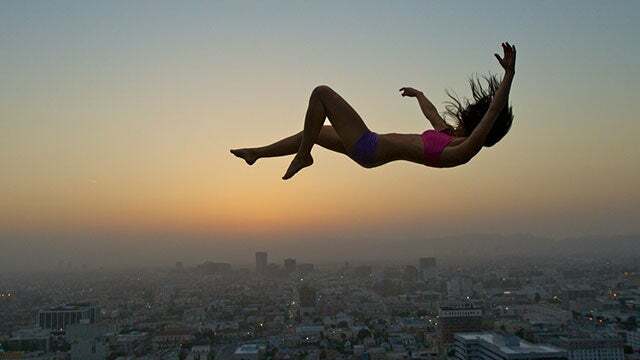 At the time I had not vertigo at all, not months before the therapy no months after therapy. Now my condition is worst not only have episodes of vertigo with vomit and diarrhea but also lost of hearing and have ringing in my right ear. Some days the noise in both ears is so bad I think I will go insane. To make things worst my right hearing comes and goes and my family think I select what I want to hear. Doctors do not seem very concerned about my problem, It is unfair they call this bening vertigo. This is worst than any thing else. Have you been to see an otolaryngologist and audiologist since the new symptoms have started? These new symptoms may be unrelated to the problem you had three years ago so it may be necessary to undergo repeat testing, especially since the opposite ear is now involved. 3. Find a good homeopathic practitioner who have handle Menieres disease. Hi. Please tell me your thoughts on what’s been going on. In june of this year I had an infected abscesses molar removed with pus going into my sinus cavity on my left side, and a left ear infection. It caused dizziness at the time but it disappeared. I would be hit randomly with it in the heat or after standing too long . As of last month And a week I’ve had vertigo, nausea and some sensitivity to light. Er visits, doctors visits, an ent neuro otologist who believed it was vestibular migraines but an MRI came back clear. Just had the VNG done and was told I had a light reaction in my right side ( the side I always feel I’m leaning too with my vertigo ) but severe dizzyness with my left ( both only after air was applied) I have such anxiety bc I have no answers and don’t know where this came from. I wrote it off as stress for the first week but landed in the hospital the second week it happened. Any thoughts? Prayers are appreciated! Thank you God bless! Hi Jackie. I have no answer to your questions since I’m not a doctor. But I will surely pray for you. Please pray for me. God bless you. It is very difficult for me to give you any answers based on these results. Have you discussed the results of the VNG with either an Audiologist or ENT? I have had constant dizziness for seven weeks with latent nausea, tinnitus, numbness in my left cheek and eye and some pain in my left eye. Would a vng test be an appropriate diagnostic tool for my symptoms? im schedule to have VNG in 3 mths time to check if i have any issue with inner ear balance. my concern now is my dizzy spell is intermittent and what if the day i have test i m absolutely fine and no dizzy or whatsover, will this test good enough to find any abnormality? I had a VNG for severe vertigo. I also have migraines. My results were Central Vestibular Dysfunction which means its not my inner ear, its the nervous system. I had an MRI because there is MS and other autoimmune in my family. That was done without contrast and came back normal. I tried a chiropractor to see if that would help. I had no decrease in my vertigo. My phusicians assistant never really told me what central vestibular dysfunction is. All I know is that its a symtom of something going on! I was told a neurologist wouldn’t want to see me and an ENT would do me no good. So Im frustrated with constant vertigo, ringing ears and headaches! Im considering getting a second opinion! A second opinion is never a bad idea. I would recommend you request a copy of your VNG results and see an ENT AND a neurologist who specifically specialize in dizziness. This could be me in a nutshell! When I am having vertigo attacks they can last for days to weeks and am dizzy at some point almost every day. Is ruining my life. I am 66 but my independence is just about gone. Can’t drive during theses episodes which can be random and afraid to go out alone most of the time. They now also want me to have the VNG test but not sure if it will really show anything and no cure. Not to mention how scared I am to have it done. To all with this problem. Martie R.
I had the vng testing done last week and I could not make it past the hot air in my ears. I became so dizzy I started vomiting and was dizzy the entire evening into the next day. I was unable to do the cold air portion. Do think my neurologist will have me repeate the test? Was the test positive for vestibular issues? Some people have stronger responses to the caloric testing, particularly the warm air stimulation which is why it’s done before the cold. As long as they were able to test both ears with the warm stimulation, that is an adequate amount of data to make a reasonable conclusion. Just because you responded so strong to the caloric testing does not necessarily mean your test was positive for vestibular issues. I had a VNG yesterday. I have been feeling off and a little dizzy and then got vertigo where the room spins when i lay day and turn my head. Went to the doctor and said there was fluid in my year. 2-3 months later same symptons and vertigo a couple times. Doctor gave me an antibiotic and had me do allergra D. Started feeling somewhat better and thought my anxiety was causing some of the symptoms of dizzy. However, within a week that off feeling starting happening again. The room isn’t spinning but feel it in my head. Had the vng and got dizzy with both ears on cold air but with hot my right ear nothing and left ear A LOT! Does this mean something bad? My anxiety is torture. I’m not dizzy where I cant walk it’s just an off feeling. Thanks so much for your thoughtful and helpful answers. I have had 4 episodes of vertigo since May 1, 2015. Each onset was less serious and lasted less long than the previous one. I’ve had a couple appointments with my best-ever-on-the-planet PT whom, incidentally, my clinic refers to as their “resident vestibular goddess.” She has concocted custom exercises for me which I do religiously right after an appointment, then sort of forget about when the dizzy-foggy-weirdness stuff is minimal. Recently she recommended that my Head-and-Neck PA consider ordering both a B-12 and a VNG test. The B-12 was normal; the VNG is scheduled in a few weeks. In full transparency, I’m scared to death of the VNG — mainly regarding the potential for vomiting — so I’d love to find reason to cancel it. I guess my question is “what might be the range of remedies for what the test might show?” If it’s just PT exercises, I have those now (and the goddess is always willing to adjust them). If it’s any sort of surgery, I can say with certainty that I would be 99.9% adverse to that option. (Forgot to mention, I also had a brain MRI which came back perfectly normal for whatever they may have been looking for). Thanks in advance! I know you don’t want to hear this, but I would definitely go through with the VNG testing as ordered. Even though you had other tests done that came back normal, and you are already receiving physical therapy for your vertigo, the VNG can help to pinpoint what is causing the dizziness (or at least rule some things out) and will help guide your physical therapist in her treatment. The majority of people do not get sick to the point of vomiting during a VNG test, so I wouldn’t worry yourself. What is the cost for this type of testing? I’m not sure Bryan. In most cases your health insurance will cover the cost of the testing, or at least part of it. Everyone reacts slightly different to the testing. Most people don’t experience lasting dizziness from the calorics 24 hours after the testing is completed, although it is normal and expected to get dizzy during the testing. You may have some hypersensitivity to the test. If you are still experiencing dizziness I would advise you to call the office where you had testing and ask to speak to the person who did your testing. I had an ENG about a week ago. My left ear did not stimulate much with the cold and hot air. 73% unilateral caloric weakness in left ear. This dizziness started on 6/7/17 and I was starting to feel better right before the ENG. After the test last Monday (6 days ago) I have been much worse. They are scheduling me for PT to help train my right vestiblar nerve to compensate for my decreased left side. My eyes are not very strained feeling since the ENG. It’s like when you read alot and they feel tight. This is all new since the ENG last week. Any suggestions. ENT said just to do the PT therapy. **NOTE: Hearing test excellent, no ringing, etc and I am on prednisone and augmentin just in case it’s a bacterial infection but no change in a week. I have had the ENG three times, 30 years ago. I did not vomit ( I am VERY sensitive to movement). Tomorrow I go for a VNG and I am terrified. I am looking for an excuse to cancel it because I am going alone and so very scared that since I have been feeling better, when I leave the test, the dizziness will stay with me and either NOT go away, or go away weeks later. I know that some people are hypersensitive to it. Does anyone know what the longest time a patient has been dizzy POST-VNG. This is what terrifies me the most. Thank you in advance. I just had the Hot air then cold air test yesterday. I nearly blacked out withthe hot air in the left ear. I felt so dizzy and started vomiting. We waited 5 minutes with each ear and changing to cold. At the end of the test I started to vomit in a bag he gave me and ran to the bathroom and threw up several times. I thought I’d rest in my car and drive home in a little but 45 minutes later I asked my husband to come and drive me home. That was at 4pm yesterday and it’s a day later and I was supposed to fly to michigan for a reunion but I’ve been weak and layer down all day. I had the same thing. I was able to get through my right ear but when they did the left I was put into a tail spin. I couldn’t think or respond to her questions. I had warm/cold water for my testing and after the test I was vomiting non stop. Unfortunately I drove myself so it took me a long time to get home. It seems my right ear had no response so I have to have a CT scan and MRI next. I do not want to do that test again. Today is the day after and I am still miserable. This triggered a migraine on top of things. I am glad to know there is a reason for my vertigo but the testing was brutal on my system. I am scheduled for a VMG next month. After reading some of the questions on this page, it got me wondering if I should arrange for someone to drive me there. My group’s local office doesn’t offer it, so I have to go to their big campus that is about 20 miles from home. What is the likelihood that I would have difficulty driving (in heavy city traffic) after the test? I would definitely recommend you arrange for someone to drive you home after the VNG. Everyone responds differently to the test (some are more dizzy than others) so it is not a good idea to drive yourself home. I had my vng test yesterday, with the water, and feel horrible today. I keep falling and my balance is really off. Is this normal to feel more worse than usual after having the vng test done? If so, how long can it last? 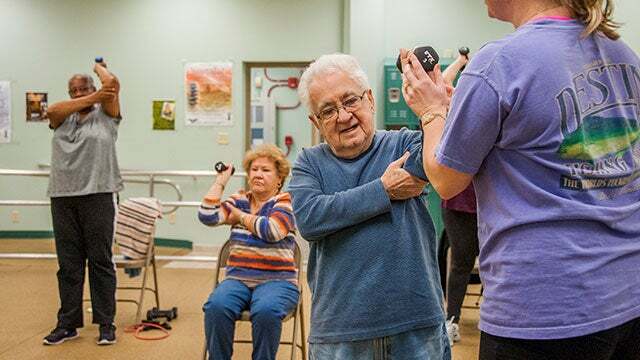 The purpose of the caloric (water) portion of the test is to stimulate the vestibular system, so yes sometimes there can be lasting effects for several hours after testing. Take it easy today until you begin to feel better and give the office a call where you got the testing done if you begin to feel worse. I am having a VNG done in a couple of weeks. I have balance problems since I sustained a head injury in a car accident 2 years ago. I can’t turn around too fast, I get dizzy just standing in one spot, and sometimes I can feel my eyeballs bouncing up and down. This test is being done after a sleep deprived EEG. I have blank spots in my memory, I stare off into space……my eyes sometimes lock on one thing and I can hear someone talking and I can’t respond to them. Or I don’t hear them at all. There are other things that I do that I don’t realize that my mom has seen me do. So what can I find out after having these 2 tests done back to back? Hi Becki, I can’t speak for what the EEG will show. The VNG will be able to tell you where the dizziness is coming from. I’m going for my test to see if it’s Meniere’s causing my problem. Thank you, this page has been very helpful. Going on the 23/09, wish me luck! I have suffered with spells of vertigo for over 50 years since a very bad inner ear infection when I was 15. I am having the VNG testing on 10/30 and am hoping for some type of diagnosis to help me. The comments have been very interesting and I feel that I have a better understanding of what is going to happen. Thanks to all for your very informative questions and the answers given. I had the VNG testing done today. I was already dizzy for the laat two days before I went in for the test. During the Caloric Testing part with the cold and warm air I felt like I was on a merry go round and got very nauseas and when the warm air was in my left ear it was worse than my right. I had to sit up with a garbage can because I thought I was going to throw up. I get the results in 2 weeks. Lately the dizziness has had me in bed for 4 days in the last 3 weeks. I have delt with the dizziness for aboit 4-5 years. It is normal to get dizzy during the caloric testing. Hopefully you won’t have to suffer from dizziness much longer and the VNG results will give you some answers. H, the vertigo went away after a couple weeks. I am now experiencing it again. ( the vertigo) I am scared to try this test again. Is the pain all in my head, as they made me feel it was? It is unusual to experience pain during the caloric testing. I would recommend you try again, informing the tester of your negative reaction before you begin the testing. I have VNG testing scheduled for next week. I fell, back in June, as a result of taking a dog on a walk and she decided to take a severe right with no notice. (This dog weighs approximately 70 pounds and I weigh approximately 115.) I ended up in the road, with the right shoulder and side of my head crashing into the pavement. Not realizing how badly I may have been injured, I attempted to stand up to get out of the road (getting run over by a car seemed like a bad alternative to staying in the road!) I immediately fell again, on the same part of my head, over my right ear. Since then, my hearing has been “off” in my right ear. I had a hearing test done at the ENT’s office and the results were so disappointing, I could have cried. I am having a lot of trouble hearing in my right ear, but did not consider myself deaf. Apparently I was wrong. I went back to work after a week and continue to have trouble with basic things like walking (I’m told I stumble quite a bit and look like I’ve been drinking). After a long day at work, I come home with a horrible headache. Sometimes I struggle for words, or they come out disordered. It is important to note that I have a job that requires a great deal of mental focus, and do not feel if I had any cognitive loss as I would not have been able to continue in my role for the past six months. Reading through this website indicates I may have to take more time off work as a direct result of the test, and that concerns me. I work in a semi-medical arena, and it has been suggested that I see a neurologist rather than an ENT. What are your thoughts? That’s a disappointing incident and your situation is understandable. You seem to have severely damaged your ear and the nervous system in there. An MRI may be more useful, I feel; to verify the extent of damage in your upper part, as you said your head was hurt when you fell down. 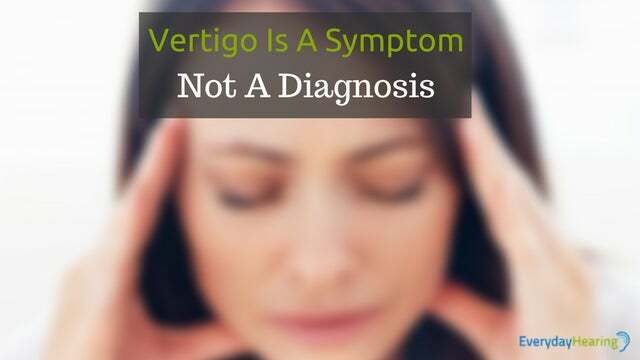 Your vertigo may be the result of head and ear injury. I suggest you also see a neurotologist. If you are in India, pls visit Advanced Vertigo and Balance Clinics and know the causes of your vertigo and hearing loss. Do take medical treatment asap. what did the homeopathic dr. do differently? My friend had that vng testing done and did not realize that she was to avoid alcohol 24 hours before test. She is now stressing out. She only had one drink . Does anyone know if this will really affect her testing? Will the test reveal other problems or just that the vestibular system is problematic? What if there’s a problem with the connection between the optic nerve and the brain stem? If there is a definitive answer to why you are experiencing these symptoms from the VNG test then you will likely not need an MRI. However, if not a MRI will likely be included in a battery of tests to make a proper diagnosis. I’m scheduled to have a VNG Test in 3 days. I had a intratympanic steroid injection 16 days ago and I think my ear drum is still healing. I will call my ENT tomorrow to ask if it is okay to do this test now but I’m curious about your thoughts as well. Thank you so much for doing this! Does anyone know if a holistic, DC who does muscle testing could help with dizziness? If I’ve had success with the Epley manouver in reducing my vertigo what information will a VNG test give my doctor. Can we not assume BPPV if the epley worked? If your dizziness has completely resolved following the epley then you should be able to assume BPPV was the issue. However, if your physician recommends VNG testing then maybe he/she expects a secondary problem. I had V N G test done, she inserted a 3to4″ q-tip type stick in ear with copper foil wrapped around it & when I screamed she acted like it was unusual.The test was 1 hr.15min.of pure torture.Has anyone experienced this pain? It did rule out Menier’s but there is a problem with vestibular nerve & now 2 more tests next to spin me on table & then a chair.Please pray that they will solve my problem. The test with the copper foil in the ear was likely an ECoG test, not a VNG. It measured the nerve response of your ear and is helpful for ruling our Meniere’s Disease. I had the VNG test about 10 years ago and now I have to have it again because I’m having severe vertigo attacks again and general daily dizziness with migraine. My neurotologist says I am having Vestibular migraines, but I also have vascular loops in each inner ear according to my latest MRI. He insists on doing another VNG test (he didn’t do the first one) to see if one ear is reacting differently than the other. (I don’t understand why that matters.) But the VNG test was the most horrible thing I’ve ever been thru. When they blew cold air in my ear, the room immediately started spinning and I broke out in a sweat that made my clothes very wet. I got violently sick and threw up over and over again and I couldn’t continue the test because I couldn’t stop vomiting. I felt like I was going into shock cos I was shaking and very weak. I was so disoriented I could barely walk, and went into the waiting room to try to recover a little and i sat down in the floor, missing the chair by about 8 feet because i was so disoriented. I couldn’t drive for 2 hours–just went out and laid down in my car with a plastic bag to throw up in. So I went thru that for nothing, except for that doctor to marvel that I had “the most sensitive balance system” he had ever encountered. And he announced I had Menier’s disease. My new doctor doesn’t even agree. He says I have vestibular migraine because of how sensitive my balance is, the fact that I don’t have hearing low in the lower tones, the fact that I can’t move my eyes during a vertigo attack without getting extremely sick, and the fact that I’ve had migraines for 30 years. I can’t tell you how much I dread this test. I would literally rather have a root canal without anesthesia. I’m not sure why, but when I get vertigo, it isn’t a mild little case–its shockingly horrible and I just collapse in the floor and stare at one spot on the wall for about 4 hours, only moving to throw up. But a friend of mine had one, and it didn’t bother her one bit. WHY does it make me violently ill? Everyone reacts slightly differently to the VNG testing but it sounds like you have a rare extreme response. I had the VNG test and results were normal. Does this mean that my dizziness/ vertigo is coming from a central location? Or can it be something else? Can you have a virus in your ear and the VNG not pick it up? It is unlikely that the VNG would not pick up a viral infection, especially if you are still experiencing the dizziness. I had my VNG today after 5 months of constant dizziness when moving (no vertigo) , bilateral sshl, and loud roaring in my ears. all of this following a viral bronchitis infection.. the caloric testing didn’t phase me one bit. Absolutely nothing happened. The doctor says that that is abnormal and it means my brain is getting no signals from my ears. great! still no answers so I have another CT scan and an ECOG next week. I have a Chiari I malformation (which my neurologist says has morphed into Chiari II), What effect, if any, will that condition have on the VNG I’m scheduled to take in four days? Further to my question regarding Chiari I (or II). My most recent MRI (two weeks ago) showed I have hydrocephalus. Could the Chiari and/or the hydrocephalus be the cause of my balance, dizziness and gait issues? Is Caloric Test safe? Is it similiar to ear syringing done for earwax removal? What are the risks involving it? (hearing loss, infection). Caloric testing utilizes either air or water, so it will vary depending on which method is used. Caloric testing should not be administered if there is an active ear infection and/or a perforation in the ear drum. I am concerned about the water irrigation. Hi I was hoping u can help me find a place locally that does these tests. My Mom has it done before and she tested positive and anitciotics helped her immensely. Unfortunately her audiologist moved n they don’t do it there now anymore. I can’t find anyone in my surrounding area, which is Long Beaxh NY. Can u be of any assistance with this. If not that fine I will investigate further. I had the VNG testing done last Friday April 12 in the morning. I am still experiencing vertigo, but think I am trying to learn to cope at this time as I have been driving and going to work. I has been very difficult as I work full time. I called the ENT office yesterday and today. They scheduled a follow up visit for Monday May 7, 3 weeks after the testing. I was told it takes at least 2 weeks for the report to come back. Why does it take that long? I have to deal with this for another 3 weeks until they figure out how to treat it. The nurse said she asked for a rush, but said it will probably still take 2 weeks. I’m at a loss here. I just want to treat it, whether it be medication or PT, why should I have to wait so long to do that. Frustrated beyond belief. Yes, a VNG test would be the next step for determining the cause of your dizziness. Good luck! My daughter, who is 13, has been out of school since March 8 with dizziness (56 days). The Epley Maneuver was tried for 3 weeks, did not work, while waiting to get into a Vestibular specialist. She saw the Vestibular specialist twice for testing. She said that her problem is not Vestibular, and is most likely POTS. Postural Orthostatic Tachycardia Syndrome. She is also scheduled scheduled for a VENG test next month. Does she need the VENG test now? The only other issue she has been having, is a growth spurt. So much that the orthopedist says her growth plates are wide open. She has grown 7 inches since May 2017, and about 30 pounds. Any thoughts? 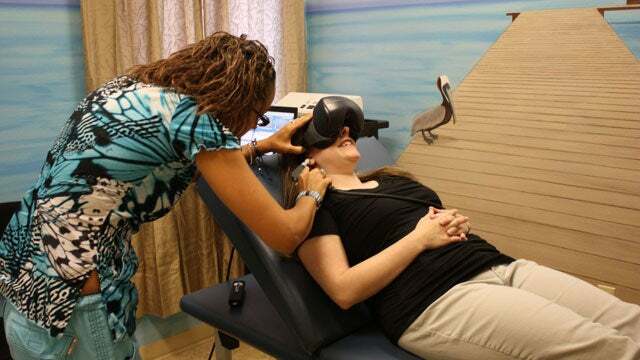 If she has not yet had a VNG test done then it would be a good idea to have one to help confirm that it is not a vestibular problem. What can you tell me about VEMP? Is this test very loud, if so is it safe for patients who have hearing loss? VEMP testing does deliver a loud sound to the ear but it is safe for someone with hearing loss as you are only listening to the sound for a very short time. However, results may not be reliable if you have a significant hearing loss. Talk to the Audiologist about this prior to testing. I had all the VNG testing today. When the air was put into my right ear – I was dizzier than when it was my left ear. In the past, I was told that the left side was causing my problems. Therefore, would I get dizzier when the air is put into my left ear? Or my right ear? It is usually a normal response to get dizzy when the air is put into the ear. If you didn’t get as dizzy when it was put in your left ear then that could be your weaker ear. You would get dizzier when the air was in your right ear. Had vng test yesterday. Feeling fine before test since the bouts of dizziness are mild (lucky for me) but appearing more frequently. Since I’m a dancer, it’s extremely annoying dreading that I might fall. Haven’t gotten results yet however reading through the forum it seems the dizziness from the caloric portion is normal. It is now 24 hours post testing and I still feel the effects. Slight nausea and an “off” feeling in head and eyes which was not present pre test. Am wondering if ever going to go away since am told effects should only last about two hours post test. Is this normal or should I call the office for advice? I had a VNG test done yesterday morning – almost didn’t make it through the last part as it made me so dizzy and sick. Since the test I have been very nauseous and dizzy. Is it normal to still have the symptoms from the test?? Blown in the ears, I was extremely dizzy when it was blown into the right ear, and not dizzy so much when it was blown in the left ear. What does that mean? I have suffered with vertigo, tinnitus (more in left ear than right, continuous ringing and hissing) and medium hearing loss in left ear since June of 2015. I am trying to get diagnosed with Meniere’s Disease so I can start my SSDI (disability income) started. I am seeing a ‘great’ ENT doctor here, and he sent me to have an VNG and Caloric testing done last month. During the video tests where you follow an image, and the positional head tests I was moderately dizzy, my eyes had trouble following the image from left to right (I did mention I had a strbismus (my eyes are slightly crossed, and I have very little depth perception). Now the weird part, during the test where the air was pumped into my ears, both warm and cold, my eyes barely reacted at all, they just wobbled and shook a little bit, and not from side to side like in normal tests, and was slightly dizzy, but that went away quickly. Any idea what this means? As I did have CT scans back in 2015 and 2016 and they were normal. Can I still be diagnosed with Meniere’s disease when the caloric and VNG tests were inconclusive? I still suffer from vertigo attacks almost weekly, slight dizziness, moderate fatigue, and nausea. Lord Bless you, and to all the people here that suffer from these horrible symptoms, I hope you all find comfort..
Further testing beyond the VNG and scans may be recommended to help determine whether you have Meniere’s disease but an inconclusive VNG test doesn’t mean you can’t be diagnosed with Meniere’s.